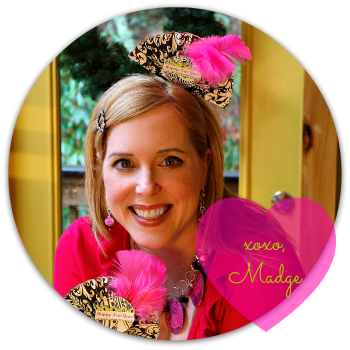 The Impatient Crafter : DIY Halloween for Scrapbooking Attitude and Dollar Store Crafts!! DIY Halloween for Scrapbooking Attitude and Dollar Store Crafts!! I'm super excited to be guest posting over at Dollar Store Crafts today. If you follow me on Facebook you may recall my post about Dollar Store Tourette's Syndrome from last week. Yes, I wandered the aisles of our local dollar store loudly chanting, "It's a dollar! It's a dollar! It's a dollar!" about virtually everything I saw. A foam pumpin? "It's a dollar!" A pack of plastic spiders? "It's a dollar!" A faux tombstone? "It's a dollar!" You can't take me anywhere, really. Yet, my family insists on it. I was at the Dollar Store gathering materials for a DIY Halloween project using the FAB new Scrapbooking Attitude sheets. This revolutionary printable material allows you to print any image you like on a transfer sheet with an ink jet printer. Then you take that sheer sheet and use a glue stuck to adhere it over textured and patterned papers, wood, cardboard...and make some very cool projects. I scanned some vintage ephemera, added text, sized and printed. Then I made some fun embellishments for grapevine wreaths using the images, some stamped and inked cupcake wrappers and bows for a little Halloween RetrofabOOlosity! 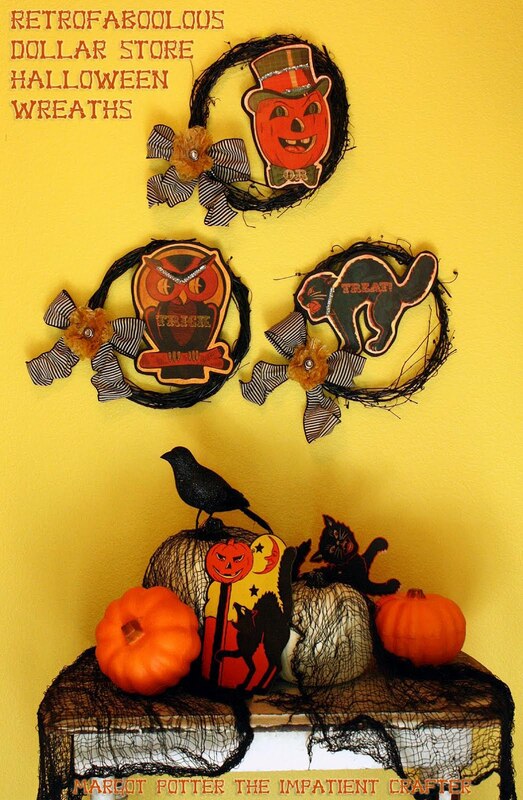 Get the instructions to make your own wreaths on the Dollar Store Crafts site, today! these Halloween cuties are adorable...thanks for sharing! My pleasure, thank you, Wendy! Is that a pug?! Oooo...adorable! These are absolutely adorable! Where did you get the images. I would love to purchase them. Thanks for the great post!